11. Dimension and Size: 305 x 305 x 20mm, 400 x 400 x 20-22mm, 600 x 600 x 15-20mm, 800 x 800 x 15-20mm, 1000 x 1000 x 20-30mm, Other sizes are available! 12. 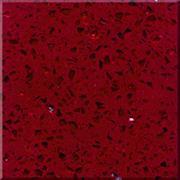 Surface: Polished, Flamed, Honed, Bush-hammered, Swan-cut, Natural, Pineapple, etc. 13. Delivery Time: Depend on the amount. About 20 to 30 days. 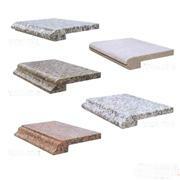 Please let us know immediately if you are interested in our granite tiles. 1. Ninesun Stone can supply various kinds of granite products, the quality is high and price is good, the surface finish could be polished, honed, flamed, bush hammered, etc. 2. We could produce granite flooring tile, slab, wall tile, paving stone, countertop, vanity top, kerbstone, cube stone, stair, railing, etc. 3. 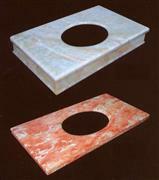 We are amongst the leading manufacturers of polished granite tiles that are available in various sizes price. According to the clients requirement. 4. Widely acclaimed for uniformity and optimum compressive strength these tiles are perfect for embellishing architectural edifices, monument sand residences. 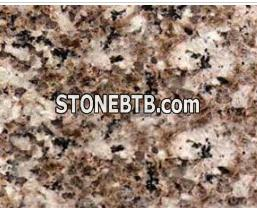 We also supply granite products such as slabs, tiles, countertops, hearths, fireplaces, paving stones, kerb stones, flower pot, tombstone, decorative line, statues, vanity top, mosaic, pattern, sinks, shower bases, baluster and railing, column and pillar, stairs, bench and table, fountain, various granite carvings and gardening products etc. For more granite tiles, please feel free to visit our website, you may also email us at any of your convenience and we would be very glad to answer all your questions.